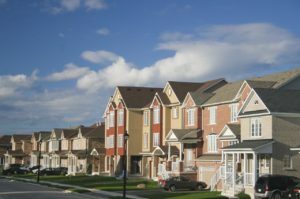 Wolf Commercial Real Estate is a leading Voorhees commercial real estate broker that specializes in representing Voorhees medical space for buyers, sellers, owners and tenants. 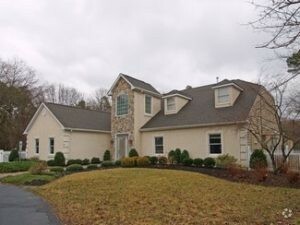 We are experts in Voorhees commercial real estate listings and services. The seasoned team at our Voorhees commercial real estate brokerage firm provides ongoing detailed information about medical space in Voorhees to clients and prospects to ensure that they achieve their real estate goals. At Wolf Commercial Real Estate, a leading Voorhees commercial real estate brokerage firm, our Voorhees commercial real estate services encompass unparalleled service and proven expertise. As the foremost Voorhees commercial real estate broker, Wolf Commercial Real Estate helps owners sell and/or lease their medical space in Voorhees through a defined marketing process that we customize for each property. Our proven marketing strategy successfully and effectively matches buyers and tenants with available Voorhees medical space. For companies and individuals looking to buy or lease new medical space in Voorhees, the team at our Voorhees commercial real estate brokerage firm helps pinpoint the Voorhees medical space that best suits their needs. Our team of Voorhees commercial real estate experts will ensure that the sale or lease terms for the new medical space in Voorhees represent the best match to our clients’ commercial real estate goals. For more information about Voorhees medical space for sale or lease, please contact the team at Wolf Commercial Real Estate, the premier Voorhees commercial real estate broker. Wolf Commercial Real Estate, the foremost Voorhees commercial real estate broker specializing in Voorhees commercial real estate listings and services, is offering premier Voorhees medical space for lease at 1101 White Horse Road Voorhees NJ. This Voorhees medical space for lease, which is ideal for medical, retail, or professional office use, is located within proximity to the Voorhees Corporate Center and other valuable medical space in Voorhees. Contributing to the high visibility of this Voorhees medical space for lease is the availability of building and pylon signage. This Voorhees medical space for lease can be acquired through Wolf Commercial Real Estate, a Voorhees commercial real estate brokerage firm that specializes in Voorhees commercial real estate listings and services. In addition, this Voorhees medical space for lease is immediately available for occupancy. There is +/-1,960 square feet available for lease at this medical space in Voorhees at 1101 White Horse Road Voorhees NJ. This Voorhees medical space for lease has a recently renovated exterior façade. The asking lease price for this medical space in Voorhees at 1101 White Horse Road Voorhees NJ is $19.50/sf gross plus utilities & janitorial. The building that houses this medical space in 08043 sits on a well maintained and landscaped property. 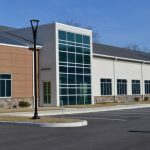 Information regarding the complete list of lease terms is available by request to Wolf Commercial Real Estate, a Voorhees commercial real estate broker. This Voorhees medical space for lease is conveniently located within proximity to I-295, Route 70, and the New Jersey Turnpike. 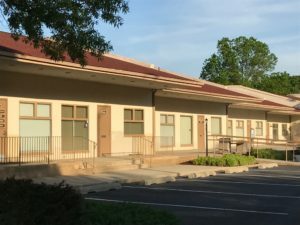 This medical space in Voorhees sits along White Horse Road within immediate access to Haddonfield-Berlin Road (Route 561). There is abundant parking at this Voorhees medical space for lease at 1101 White Horse Road Voorhees NJ. This medical space in Voorhees is available through Wolf Commercial Real Estate a premier Voorhees commercial real estate brokerage firm that specializes in Voorhees commercial real estate listings and services. For more information about this Voorhees medical space for lease at 1101 White Horse Road Voorhees NJ or about any other Voorhees commercial properties for sale or lease, please contact Jason Wolf (856-857-6301; jason.wolf@wolfcre.com) or Christopher Henderson (856-857-6337; chris.henderson@wolfcre.com) at Wolf Commercial Real Estate, a Voorhees commercial real estate broker. Wolf Commercial Real Estate is the premier Voorhees commercial real estate brokerage firm that provides a full range of Voorhees commercial real estate listings and services, marketing commercial offices, medical properties, industrial properties, land properties, retail spaces and other Voorhees commercial properties for buyers, tenants, investors and sellers. Please visit our websites for a full listing of Voorhees commercial properties for sale or lease through our Voorhees commercial real estate brokerage firm. Wolf Commercial Real Estate, a premier Voorhees commercial real estate brokerage firm that specializes in Voorhees commercial real estate listings and services, is now offering prime Voorhees medical space for sale or lease in the Echelon Professional Center at 1 Britton Place Voorhees NJ. This Voorhees medical office space for sale or lease provides +/- 1,100 square feet of professional medical space in Voorhees in Unit #3 of the Echelon Professional Center. The asking sale price for this professional medical space in Voorhees in the Echelon Professional Center at 1 Britton Place Voorhees NJ is $125,000 and the asking lease price for this Voorhees medical office space for sale or lease is $14.50/SF. This Voorhees medical office space for sale or lease is being offered for immediate occupancy by Wolf Commercial Real Estate, a Voorhees commercial real estate broker with expertise in Voorhees commercial real estate listings and services. This Voorhees medical office space for sale or lease at 1 Britton Place Voorhees NJ includes four exam rooms and one private office. In addition, this professional medical space for sale or lease in Voorhees in the Echelon Professional Center has two restrooms, a waiting room with a separate bathroom, and a reception area. There’s also a work station for staff, a supply room, and a break room in this Voorhees medical office space for sale or lease. Parking is ample for staff, patients, and guests at this professional medical space in Voorhees and there are two options for signage at this professional medical space for sale or lease in Voorhees: A small placard is available by the front door of this Voorhees medical office space for sale or lease and there is space available on the Echelon Professional Center sign at the entrance to this Voorhees medical space for sale or lease. This professional medical space for sale or lease in Voorhees is available through Wolf Commercial Real Estate, a Voorhees commercial real estate brokerage firm that specializes in Voorhees commercial real estate listings and services. For more information about this Voorhees medical space for sale or lease in the Echelon Professional Center at 1 Britton Place Voorhees NJ or about any other Voorhees commercial properties for sale or lease, please contact John Mozzillo (856-857-6304; john.mozzillo@wolfcre.com) or Ryan Barikian (856-857-6307; ryan.barikian@wolfcre.com) at Wolf Commercial Real Estate, the foremost Voorhees commercial real estate broker. Wolf Commercial Real Estate, a full-service CORFAC International brokerage and advisory firm, is a premier Voorhees commercial real estate broker that provides a full range of Voorhees commercial real estate listings and services, property management services, and marketing commercial offices, medical properties, industrial properties, land properties, retail buildings and other Voorhees commercial properties for buyers, tenants, investors and sellers. Please visit our websites for a full listing of Voorhees commercial properties for lease or sale through our Voorhees commercial real estate brokerage firm. The project is aptly named: the homes Abitare designed for “Penn Treaty Views” put their best faces towards the park, with large expanses of windows facing north. All 19 homes have full-floor roof decks with pilot houses near their centers that split the decks into north- and south-facing sides. Fully focusses on the plans and how the townhouses will look. The company and its investors believe the Delaware River Waterfront will emerge as a major high-end residential and commercial lifestyle district. Will be located on the waterfront of the Delaware River causing more people to move there because of the scenery. 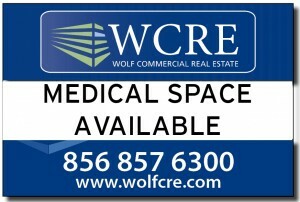 Wolf Commercial Real Estate, a leading Voorhees commercial real estate brokerage firm with expertise in Voorhees commercial real estate listings and services, now has available premiere Voorhees medical space for lease near the Virtua Hospital Voorhees campus at 157 Route 73 South, Voorhees NJ. This Voorhees medical space for lease near the Virtua Hospital Voorhees campus at 157 Route 73 South, Voorhees NJ offers immediate access to the hospital campus and, in addition, this Voorhees medical office space is surrounded by numerous medical and professional users. There is nearly 5,800 square feet of medical space in Voorhees available in this Voorhees medical office building for lease through Wolf Commercial Real Estate, a Voorhees commercial real estate broker. This Voorhees medical space for lease offers a unique opportunity to be located in a completely renovated facility. Join The OB/GYN Specialists and LabCorp in this Voorhees medical office building for lease. The asking lease price for this medical space in Voorhees is $20.00/sf NNN. 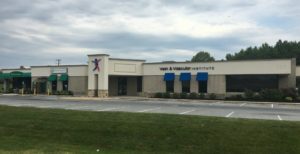 This Voorhees medical office space for lease near the Virtua Hospital Voorhees campus is available for immediate occupancy through Wolf Commercial Real Estate, a Voorhees commercial real estate brokerage firm that specializes in Voorhees commercial real estate listings and services. This Voorhees medical space for lease is within close proximity to Route 70, I-295 and the New Jersey Turnpike. This medical space in Voorhees at 157 Route 73 South, Voorhees NJ also is across from the Cedar Hill Shopping Center. There is ample parking available at this Voorhees medical space for lease with a ratio of 5,1,000 sf and this Voorhees medical office building for lease provides excellent visibility and monument signage. For more information about this Voorhees medical office space for lease near the Virtua Hospital Voorhees campus at 157 Route 73 South, Voorhees NJ, or about any other Voorhees commercial properties for sale or lease, please contact or Jason Wolf (856-857-6301; jason.wolf@wolfcre.com) at Wolf Commercial Real Estate, a leading Voorhees commercial real estate broker. Wolf Commercial Real Estate is the foremost Voorhees commercial real estate broker that provides a full range of Voorhees commercial real estate listings and services, marketing commercial offices, medical properties, industrial properties, land properties, retail buildings and other Voorhees commercial properties for buyers, tenants, investors and sellers. Please visit our websites for a full listing of Voorhees commercial properties for lease or sale through our Voorhees commercial real estate brokerage firm. Wolf Commercial Real Estate, a leading Voorhees commercial real estate brokerage firm with expertise in Voorhees commercial real estate listings and services, now has available Voorhees medical space for sale at 1001 Laurel Oak Road Voorhees NJ. This Voorhees professional medical space for sale is a condominium that is great for any professional or medical use. This Voorhees professional medical building for sale sits next to a fully approved plot of land identified as Phase 2. The asking sale price for this professional medical space in Voorhees at 1001 Laurel Oak Road Voorhees NJ is $153,000 and the asking sale price for the Phase 2 land with approvals and plans is $395,000. This Voorhees professional medical space for sale is available for immediate occupancy through Wolf Commercial Real Estate, a Voorhees commercial real estate broker that specializes in Voorhees commercial real estate listings and services. This Voorhees professional medical building for sale includes office furniture and this Voorhees medical space for sale is located within the Voorhees Corporate Center. This professional medical space in Voorhees is being offered for sale by Wolf Commercial Real Estate, a Voorhees commercial real estate brokerage firm with expertise in Voorhees commercial real estate listings and services. This professional medical space in Voorhees is in close proximity to regional and local medical and retail facilities and this professional medical building in Voorhees is conveniently located within close proximity of I-295, Route 70 and the New Jersey Turnpike. 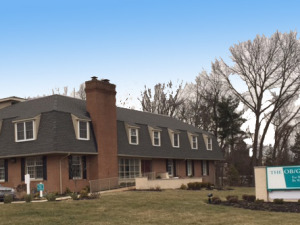 In addition, this Voorhees medical building for sale sits between White Horse Road and Haddonfield Berlin Road, a factor that adds to the accessibility of this Voorhees medical building for sale. With a ratio of 5.50/1,000, parking is plentiful at this Voorhees professional medical space for sale at 1001 Laurel Oak Road Voorhees NJ. 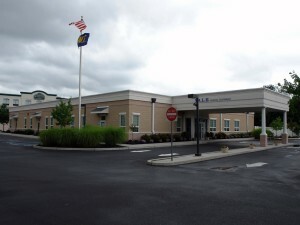 This Voorhees professional medical building for sale also has a beneficial traffic count as 22,231 vehicles a day pass by this professional medical building in Voorhees. Nearly 211,000 residents live within a five-mile radius of this Voorhees medical building for sale. The average household income within the same five-mile radius of this professional medical building in Voorhees is just more than $90,000. For more information about this Voorhees medical space for sale at 1001 Laurel Oak Road Voorhees NJ or about any other Voorhees commercial properties for sale, please contact Jason Wolf (856-857-6301; jason.wolf@wolfcre.com) or Leor Hemo (856-857-6302; leor.hemo@wolfcre.com) at Wolf Commercial Real Estate, a Voorhees commercial real estate broker with expertise in Voorhees commercial real estate listings and services. Wolf Commercial Real Estate is the foremost Voorhees commercial real estate broker that provides a full range of Voorhees commercial real estate listings and services, marketing commercial offices, medical properties, industrial properties, land properties, retail buildings and other Voorhees commercial properties for buyers, tenants, investors and sellers. Please visit our websites for a full listing of Voorhees commercial properties for sale or sale through our Voorhees commercial real estate brokerage firm. Wolf Commercial Real Estate, the premier Voorhees commercial real estate brokerage firm with expertise in Voorhees commercial real estate listings and services, now has available Voorhees medical space for sale or lease in the Voorhees Corporate Center at 1004 Laurel Oak Road Voorhees NJ. This Voorhees medical building for sale or lease is a newly constructed, modern building that is ideal for adult and/or child daycare, educational or medical usage. There is approximately 13,092 square feet of professional medical space in Voorhees available for immediate sale or lease at 1004 Laurel Oak Road Voorhees NJ. The asking sale price for this professional medical building in Voorhees is $2,400,000 ($183.32/SF). The asking lease price for this professional medical space in Voorhees is $20.00/sf gross plus utilities and janitorial. This Voorhees medical building for sale or lease is being offered for immediate occupancy through Wolf Commercial Real Estate, a Voorhees commercial real estate broker that specializes in Voorhees commercial real estate listings and services. This professional medical building in Voorhees in the Voorhees Corporate Center at 1004 Laurel Oak Road Voorhees NJ features an outdoor play area, large classrooms, parking and a covered entrance. The property where this Voorhees medical office space for sale or lease is located is well-maintained and impeccably landscaped. Both monument and building signage is available at this professional medical space in Voorhees. This Voorhees medical space for sale or lease is located between White Horse Road and Haddonfield Berlin Road (Route 561). This Voorhees medical office space for sale or lease is sits amid some of the area’s most prestigious health care providers and corporate office users. This Voorhees medical building for sale or lease in the Voorhees Corporate Center at 1004 Laurel Oak Road Voorhees NJ is being offered through Wolf Commercial Real Estate, a Voorhees commercial real estate brokerage firm that specializes in Voorhees commercial real estate listings and services. This Voorhees medical office space for sale or lease provides easy access to the area’s major highways, including I-295, Route 70 and the NJ Turnpike. With a ratio of 5.73/1,000 sf, parking is plentiful at this professional medical building in Voorhees. More than 212,300 residents live within a five-mile radius of this Voorhees medical building for sale or lease. The average household income within the same area of this professional medical building in Voorhees is $91,087. For more information about this Voorhees medical space for sale or lease at in the Voorhees Corporate Center at 1004 Laurel Oak Road Voorhees NJ or about any other Voorhees commercial properties for sale or lease, please contact or Jason Wolf (856-857-6301; jason.wolf@wolfcre.com) at Wolf Commercial Real Estate, a Voorhees commercial real estate broker with expertise in Voorhees commercial real estate listings and services. Wolf Commercial Real Estate, a leading Voorhees commercial real estate brokerage firm with expertise in Voorhees commercial real estate listings and services, now has available Voorhees medical space for sale at 326 Route 73 South Voorhees NJ. This two-story Voorhees professional medical space for sale is a recently renovated Voorhees medical building for sale. This Voorhees professional medical building for sale is ideal any professional or medical user and sits on 2.56 acres of land. The asking sale price for this professional medical space in Voorhees at 326 Route 73 South Voorhees NJ is $1,750,000. This Voorhees professional medical space for sale is available for immediate occupancy through Wolf Commercial Real Estate, a Voorhees commercial real estate broker that specializes in Voorhees commercial real estate listings and services. This Voorhees professional medical building for sale features 6,862 square feet of Voorhees medical space for sale. There’s also a 10,000-square-foot approved pad site for future development at this professional medical building in Voorhees. There is monument signage fronting on the heavily traveled Route 73 at this professional medical space in Voorhees. With immediate access to the Virtua Hospital Voorhees Campus, this Voorhees medical building for sale also offers convenient access to Route 70, I-295, the New Jersey Turnpike and the Atlantic City Expressway. With 35 surface spaces, parking is plentiful at this Voorhees professional medical space for sale at 326 Route 73 South Voorhees NJ. This Voorhees professional medical building for sale is located near many retail stores, restaurants and health care practices. 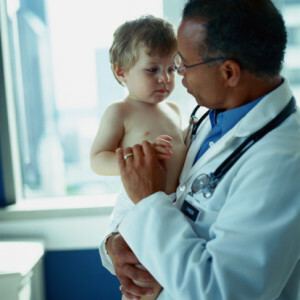 In addition, this professional medical building in Voorhees is surrounded by health care and professional users. This professional medical space in Voorhees is being offered for sale by Wolf Commercial Real Estate, a Voorhees commercial real estate brokerage firm with expertise in Voorhees commercial real estate listings and services. Nearly 154,000 residents live within a five-mile radius of this Voorhees medical building for sale. The average household income within the same five-mile radius of this professional medical building in Voorhees is just more than $105,000. For more information about this Voorhees medical space for sale at 326 Route 73 South Voorhees NJ or about any other Voorhees commercial properties for sale, please contact Jason Wolf (856-857-6301; jason.wolf@wolfcre.com) or Chris Henderson (856-857-6337; chris.henderson@wolfcre.com) at Wolf Commercial Real Estate, a Voorhees commercial real estate broker with expertise in Voorhees commercial real estate listings and services.